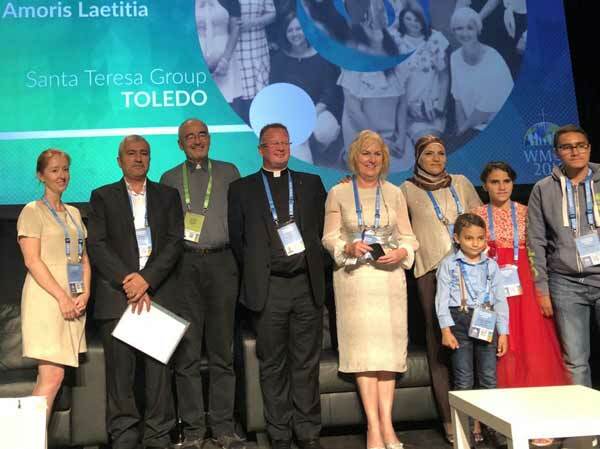 DUBLIN — In the lead-up to this week’s Vatican-sponsored World Meeting of Families, some critics charged the focus was too narrowly on Ireland. Those detractors received a response on Wednesday morning, when an opening session dealt with how refugees might help restore stronger familial bonds all across the globe. In “Nowhere to Lay his Head: a Christian Response to Migrants and Refugees,” Pope Francis’ point man on the topic said that the pontiff’s 2016 apostolic exhortation “Amoris Laetitia,” which serves as the touchstone of the global meeting, is a call to think beyond immediate family units and to consider the collective human family. “’Amoris Laetitia’ stimulates us to reflect deeply on the meaning of family in our community and society, where we might take hearth and home for granted,” said Jesuit Father Michael Czerny, undersecretary for the Vatican’s office on Migrants and Refugees. “Our Lord identifies totally with those who are forced to flee,” Father Czerny said, adding that too often the focus is on how the world aids refugees, without reflecting on what refugees and migrants are able to offer the rest of the world. One such family was on hand in Dublin on Wednesday, where Ammar Zaitoun spoke about how, along with his wife and three children – who joined him on stage for the panel – he fled from their homeland of Syria in 2015. “That includes global love and solidarity,” Father Madden emphasized.